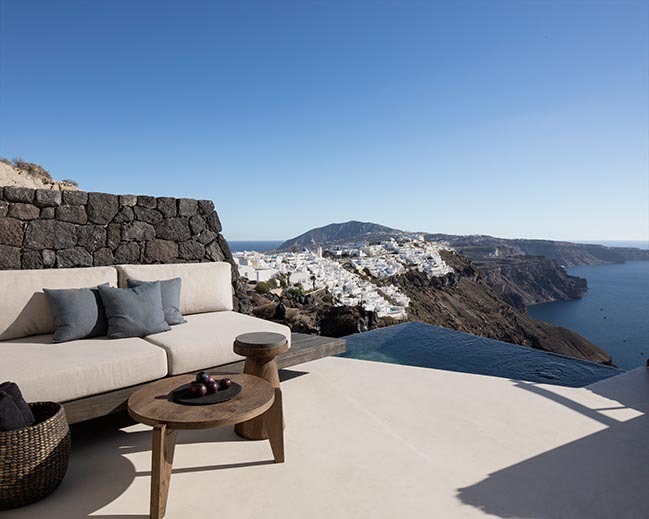 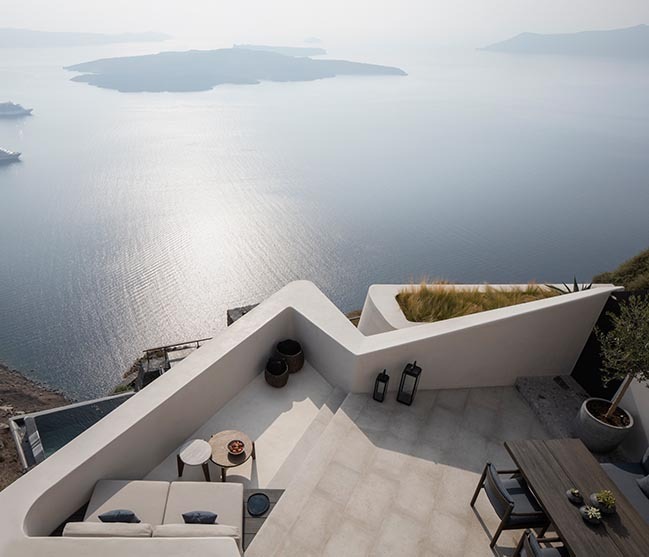 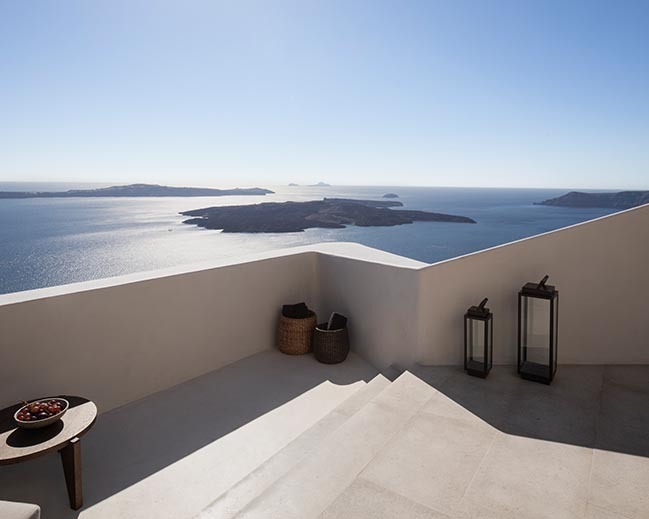 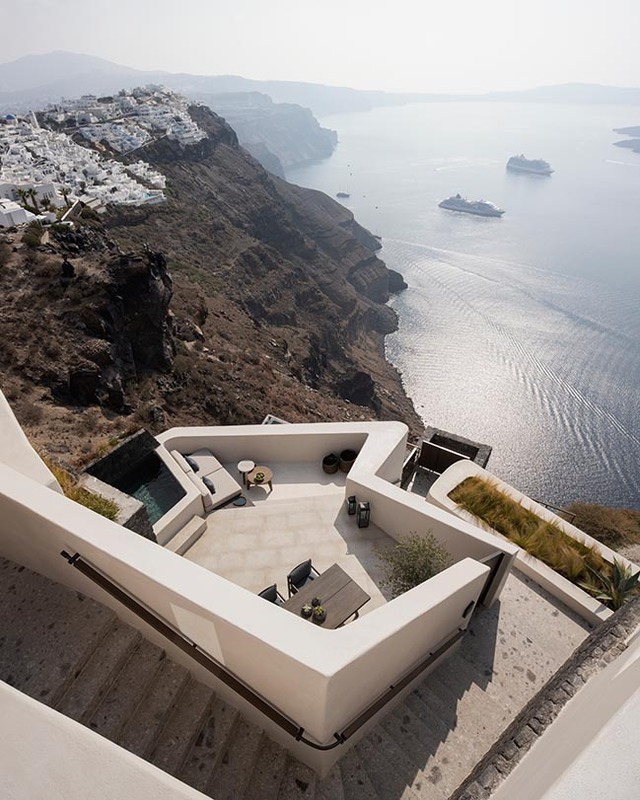 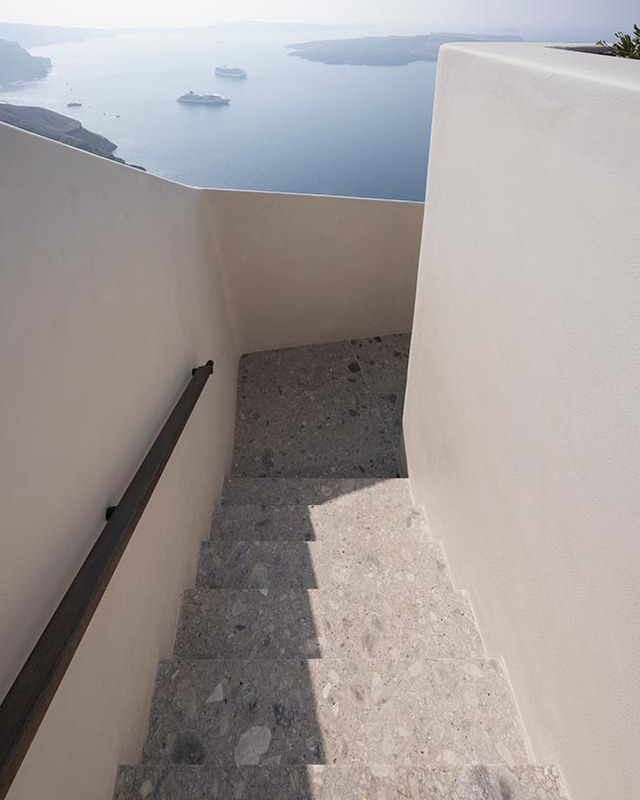 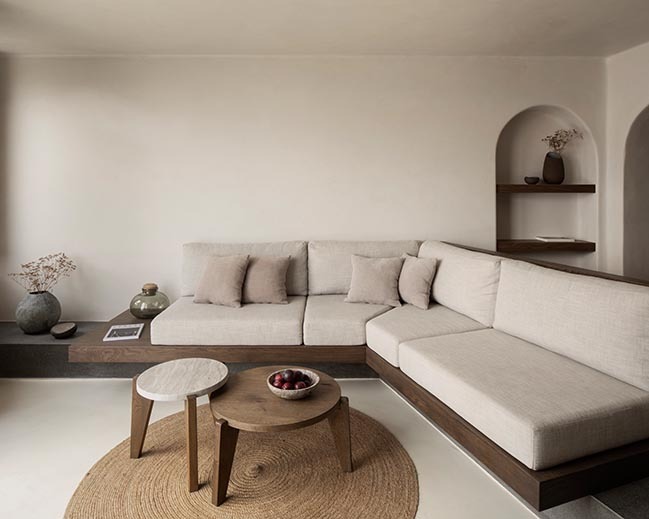 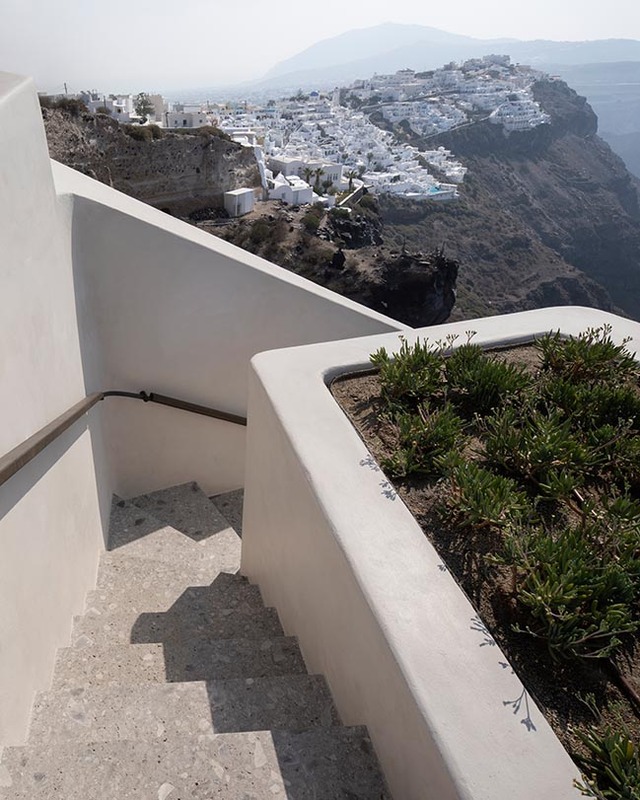 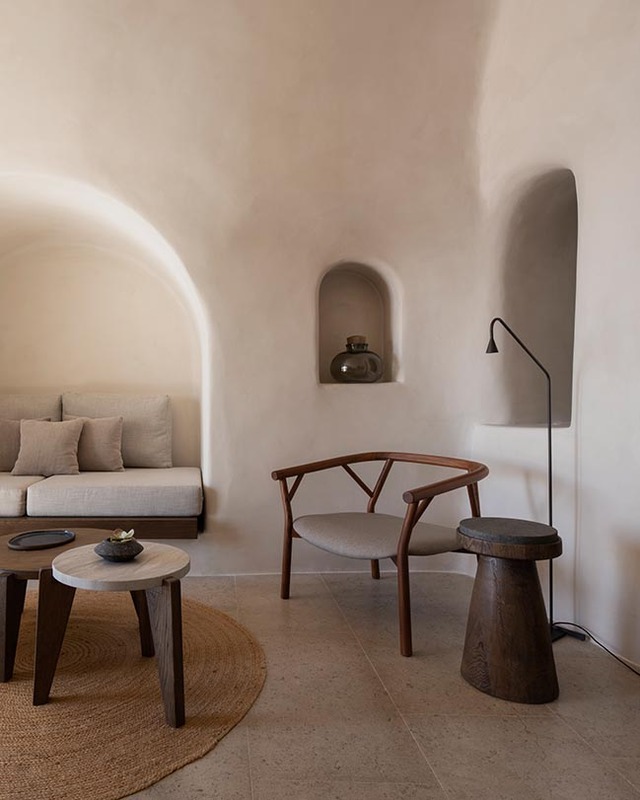 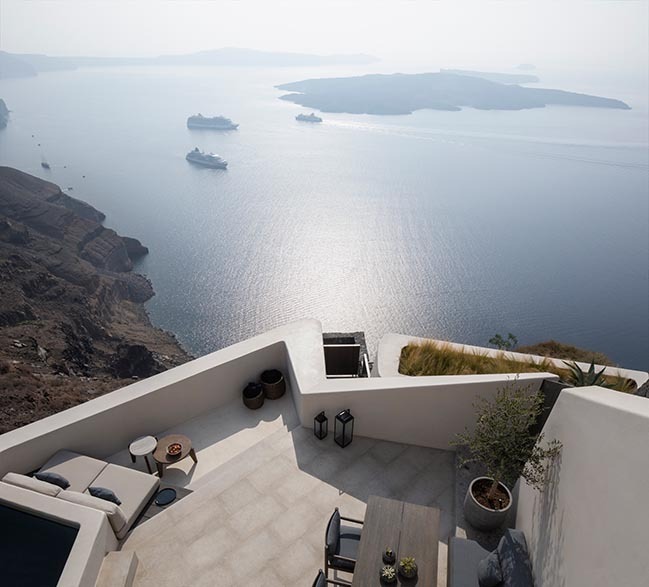 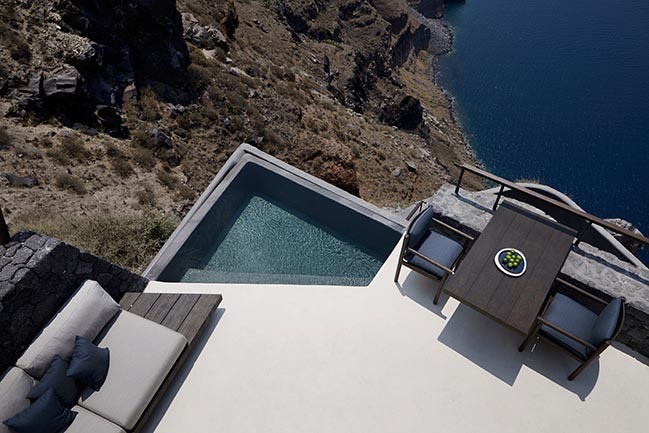 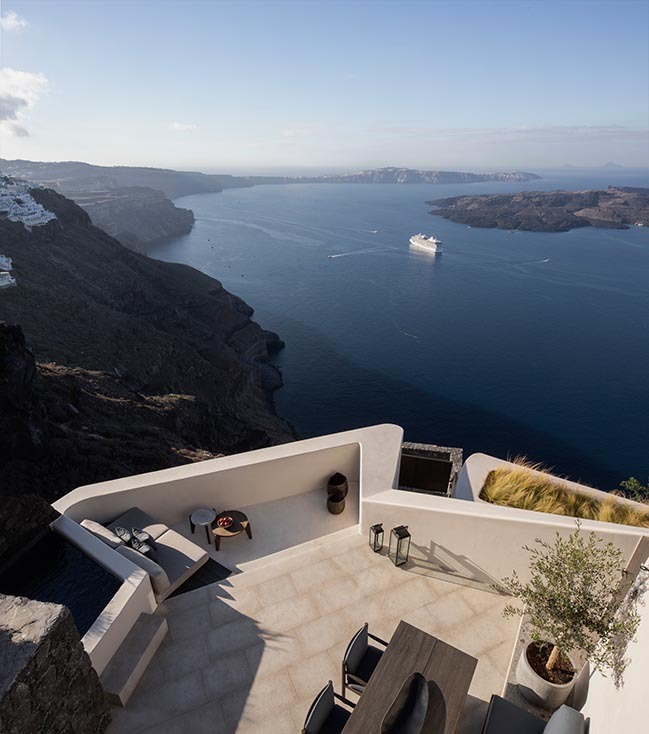 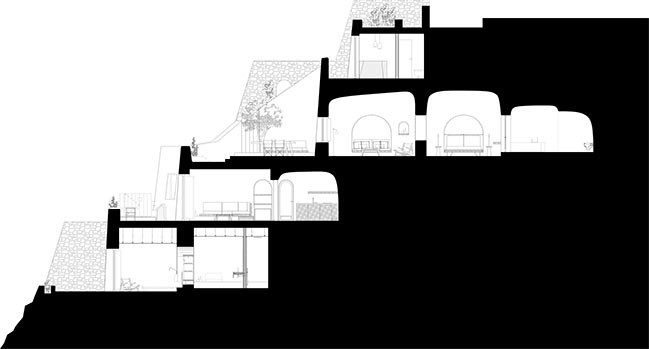 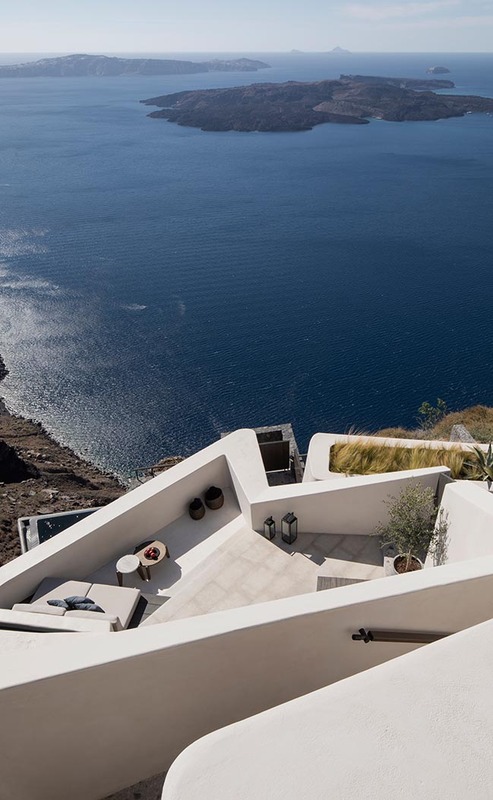 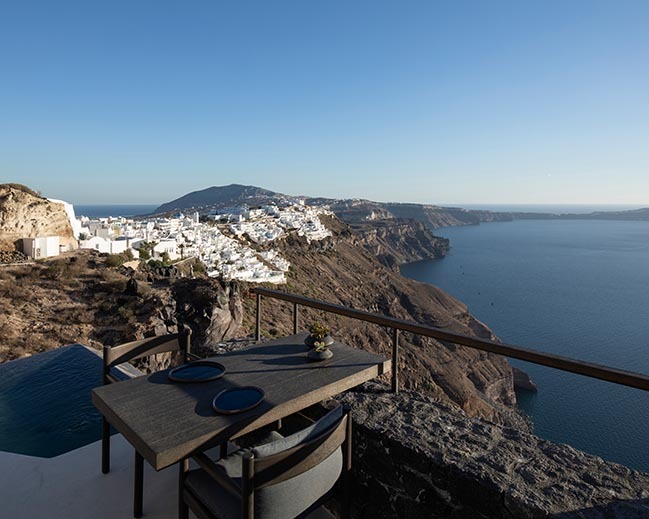 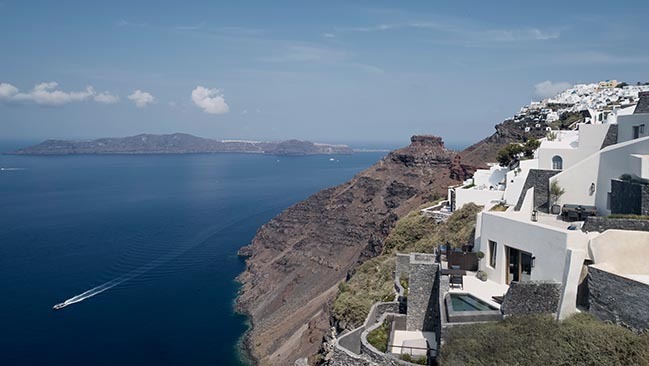 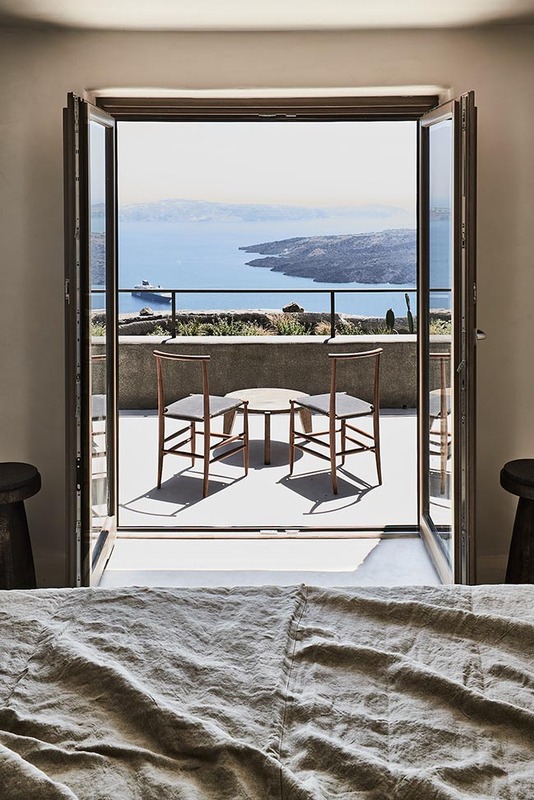 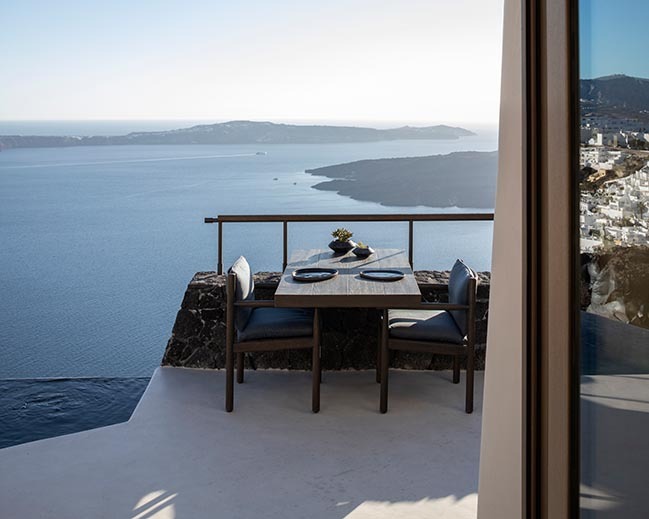 K-Studio's brief was to design a small boutique hotel on a dramatic site on the edge of the volcano of Santorini. 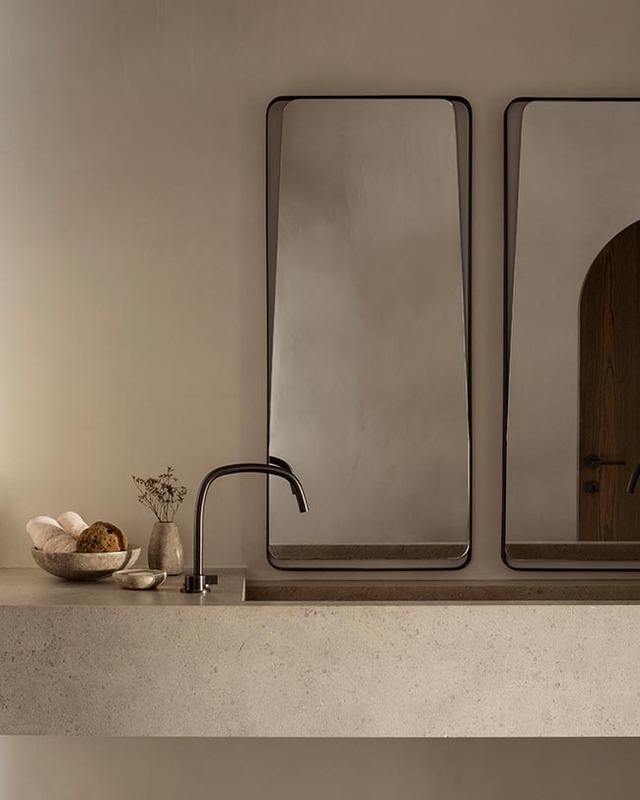 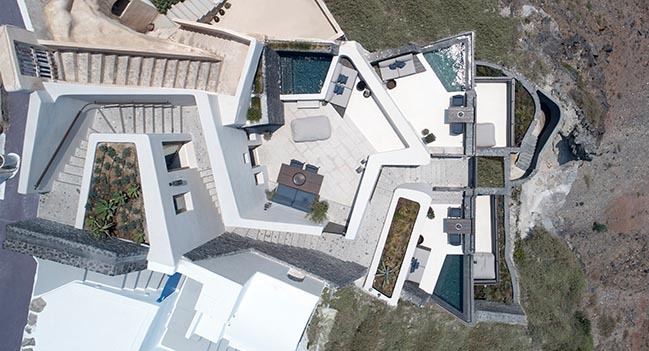 From the architect: The client, a native of the island, had a vision and determination that drove the project from beginning to end, and gave us the opportunity to push the concept and its realisation to the very edge, in all senses. 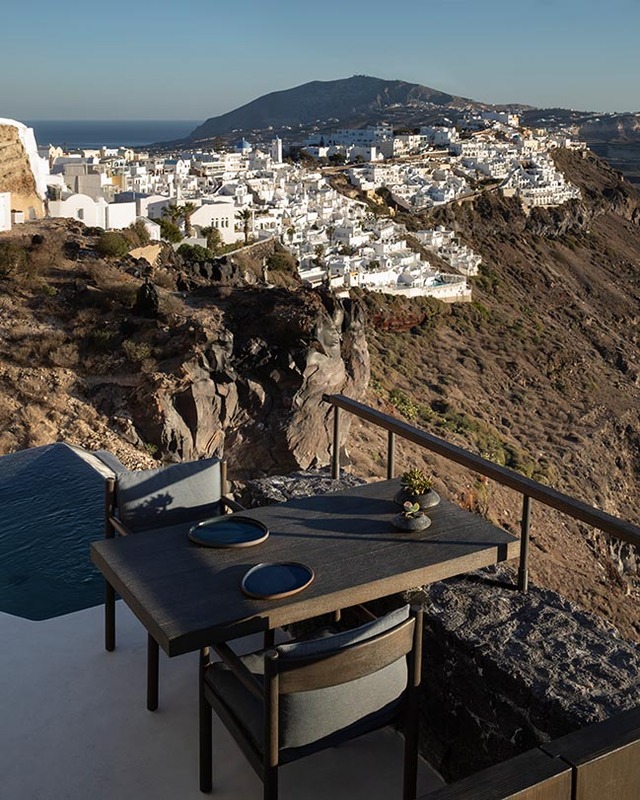 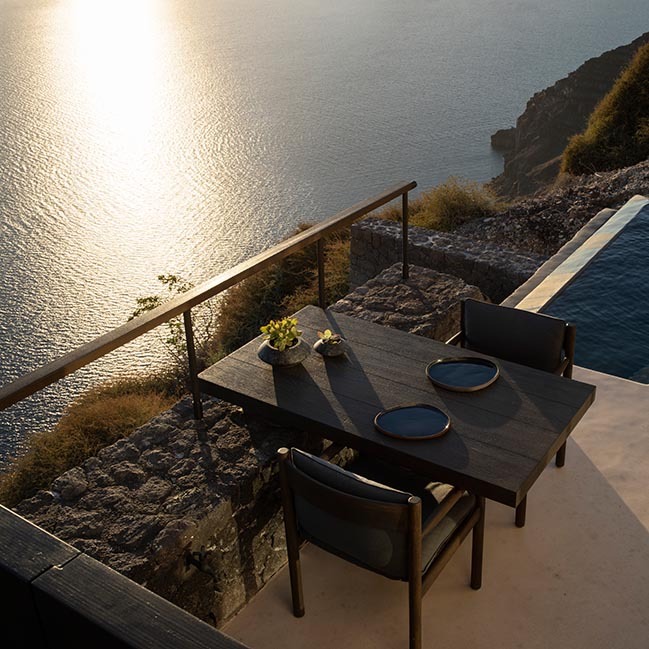 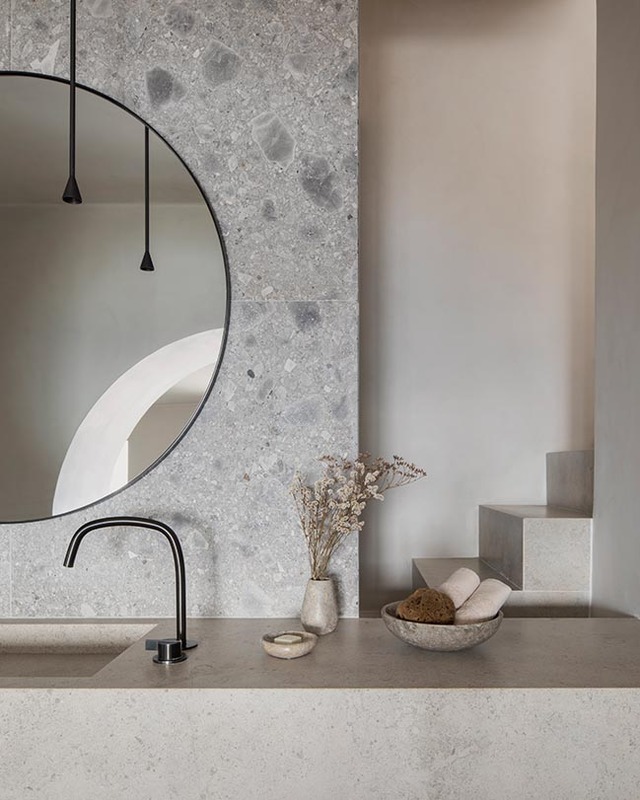 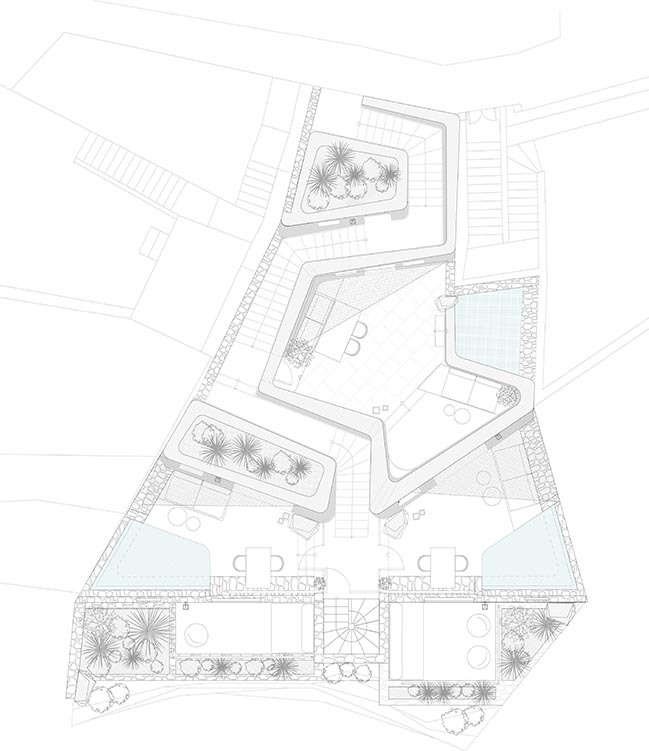 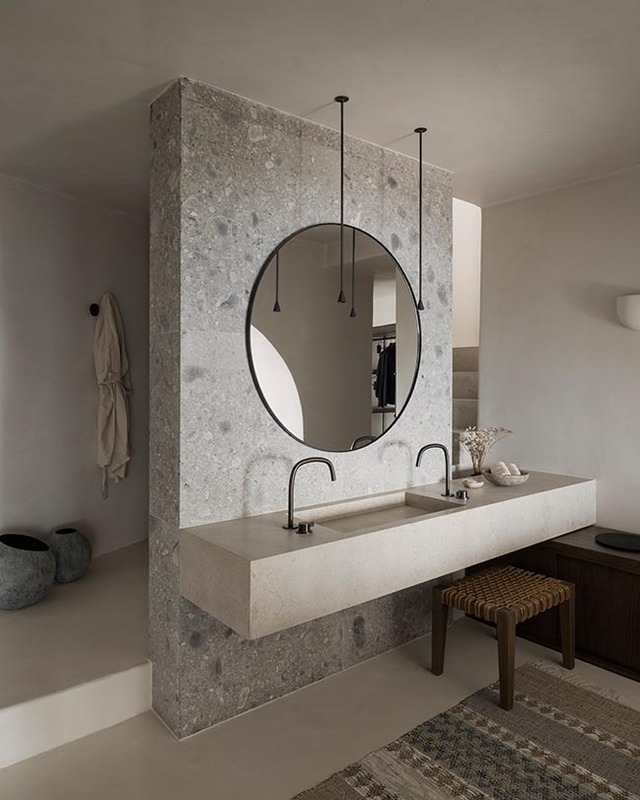 The result is a truly unique and dramatic design that celebrates the inherent energy of our client, the architectural traditions of the island, and the intensity of the hotel’s crater-edge location. 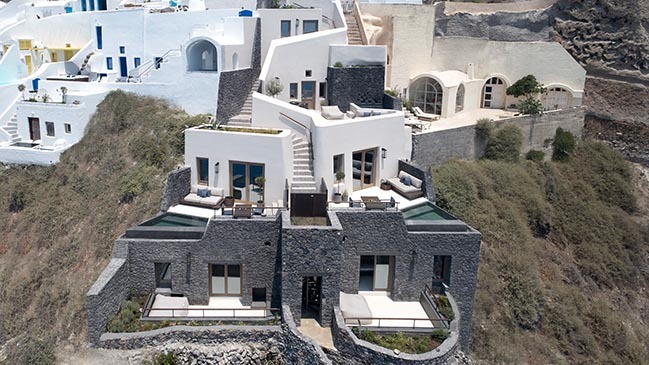 Traditionally the houses in such villages are small, cramped and overlooked. 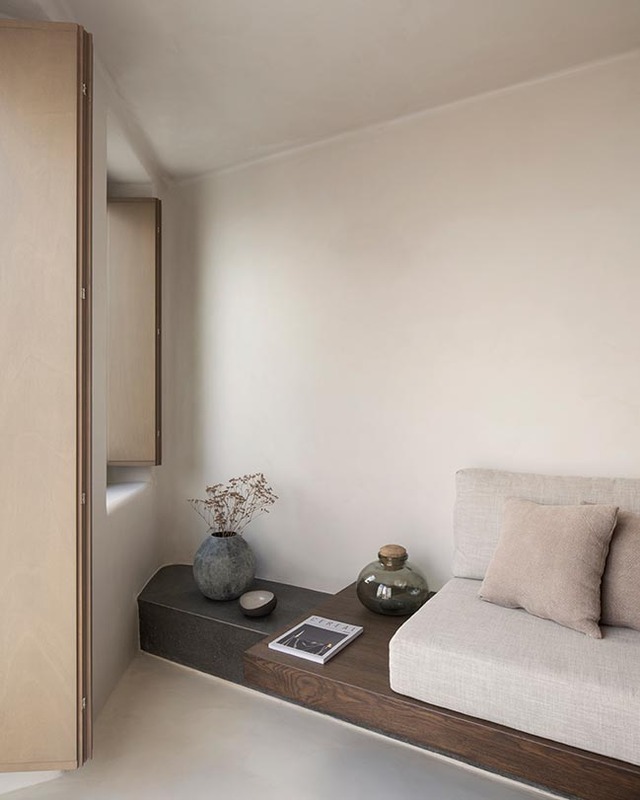 To provide a high-end experience our ambition was to make space for the guests and give them as much privacy as we could. 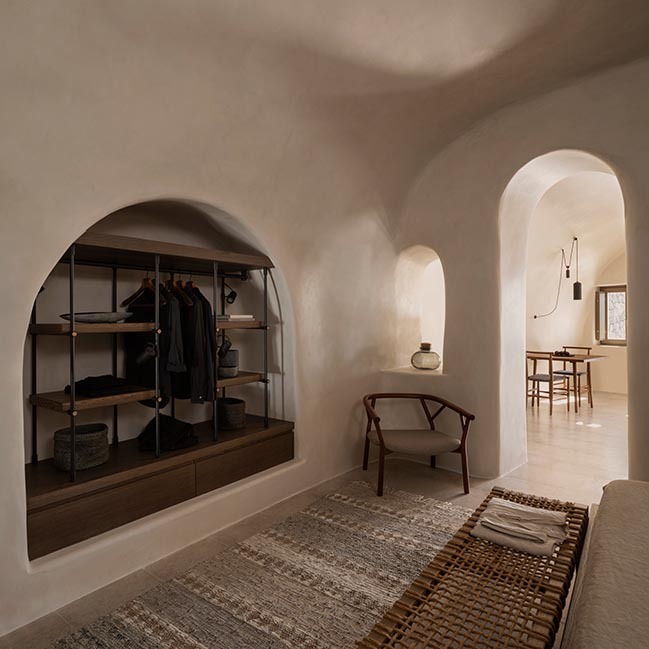 The renovation of the original cave-villa retains its characteristic layout, of three rooms that move in succession deeper into the rock. 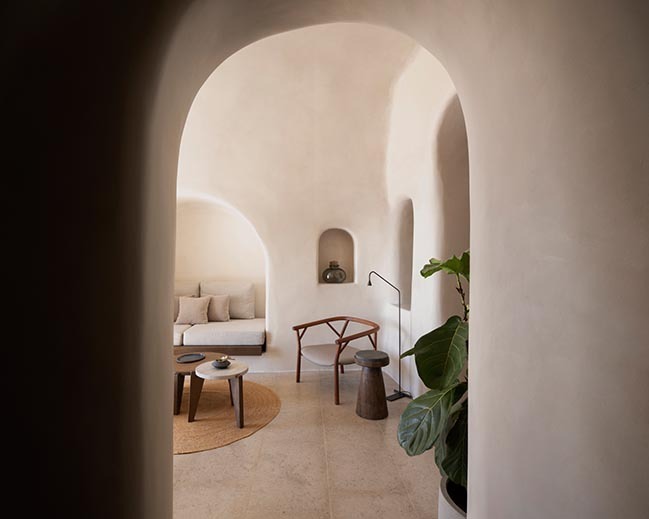 Literally carved out of the mountain the curves of the vaulted ceilings soften the shadows, removing sharp lines and blending it into the darker space towards the back of the plan. 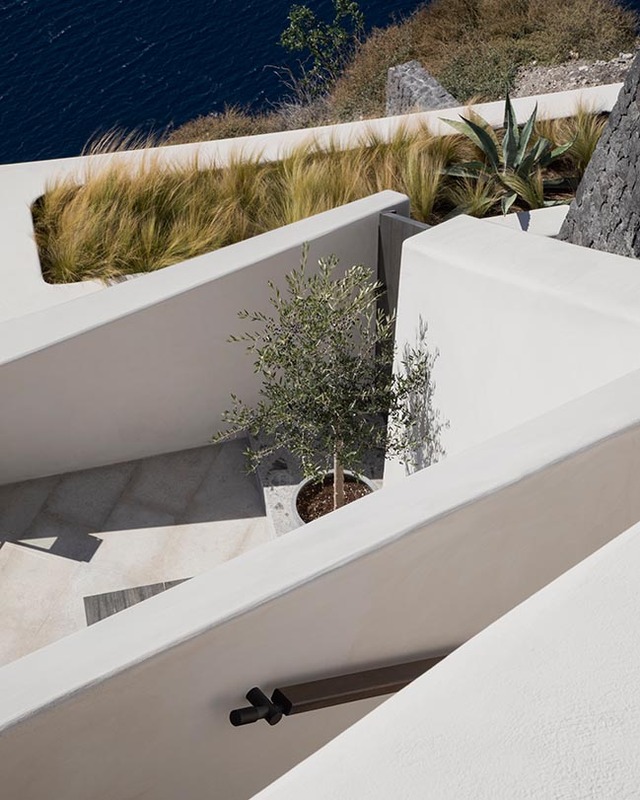 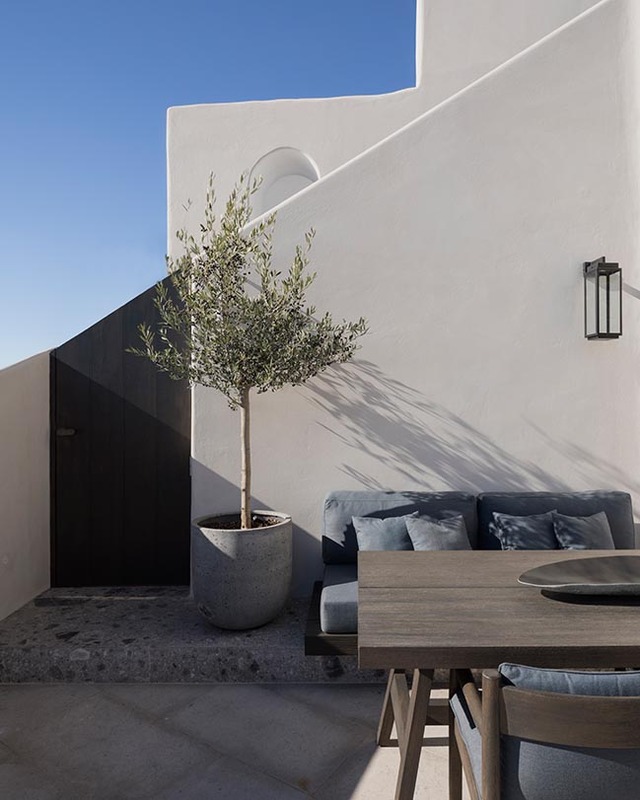 Views and light are exploited in the façade but the cooler, darker space further back invites guests to retreat from the oppressive heat outside. 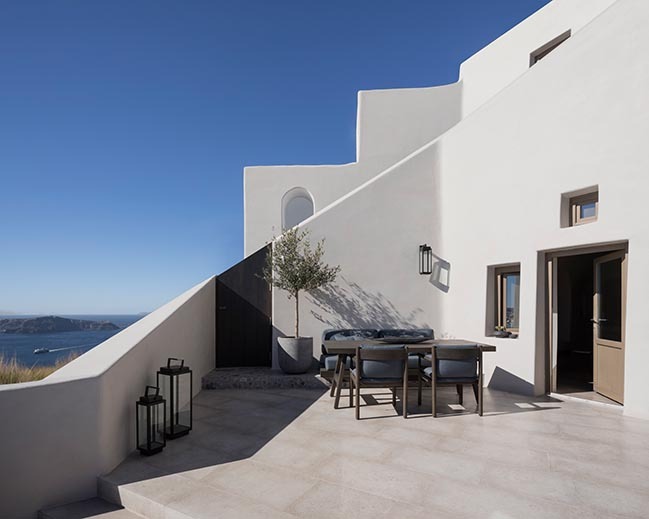 This villa sits above the 2 newly constructed villas which slice its linear plan in half, stacking one on top of the other so that each villa features an upper level of living space and a lower level of bedroom space. 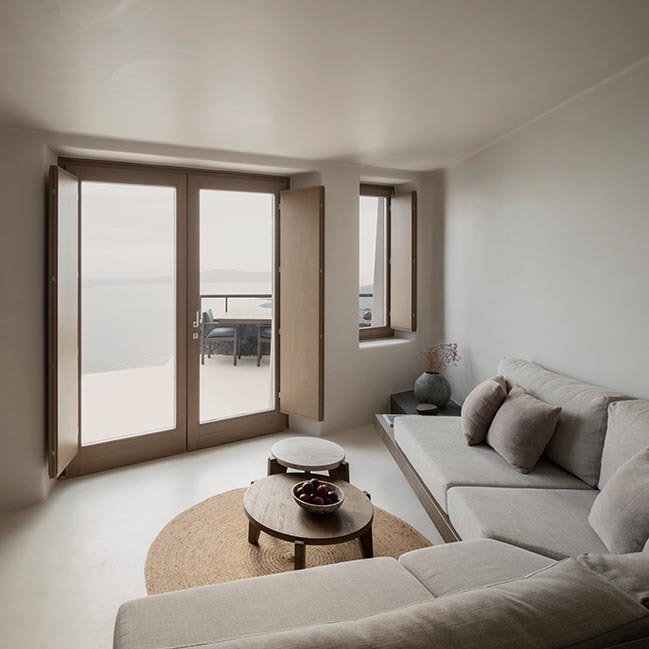 This arrangement allows for light and view to dominate in all areas and with each villa carefully angled to take in the sunset from a unique viewpoint, guests’ privacy is also maintained. 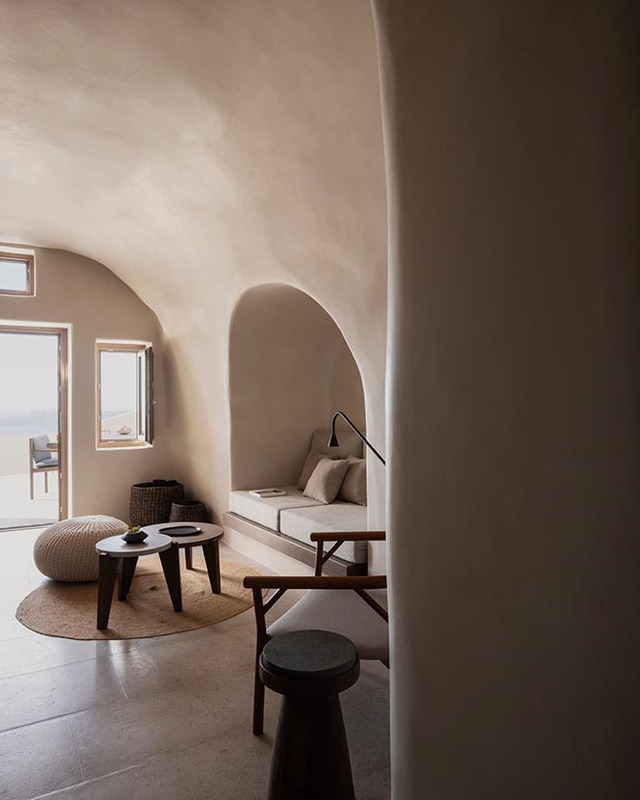 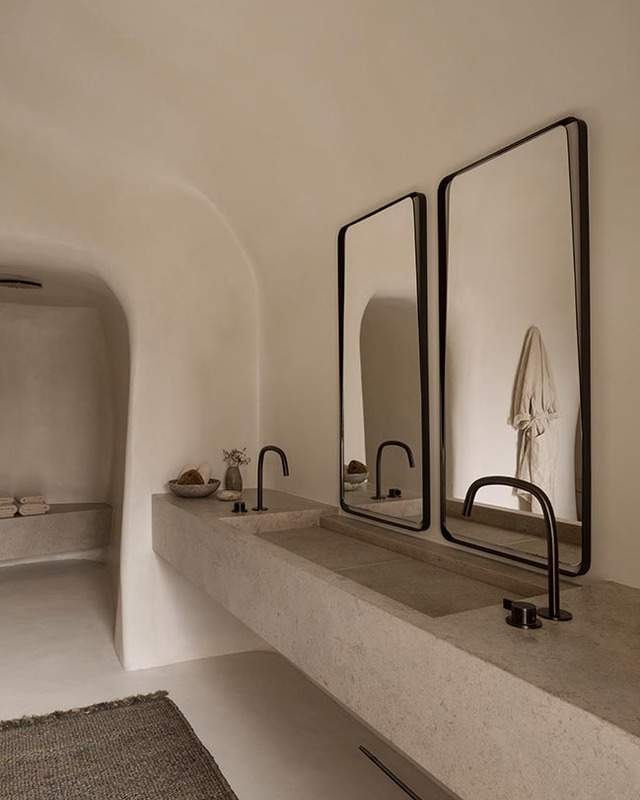 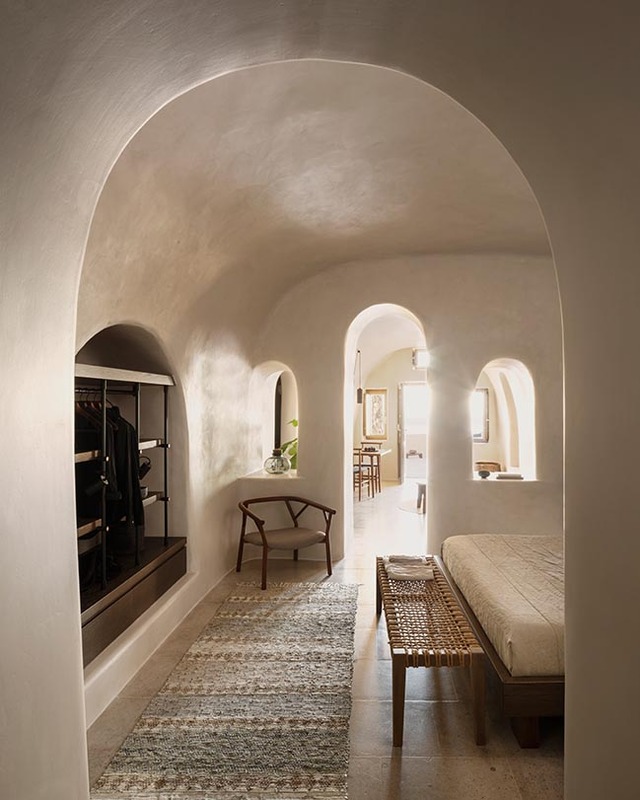 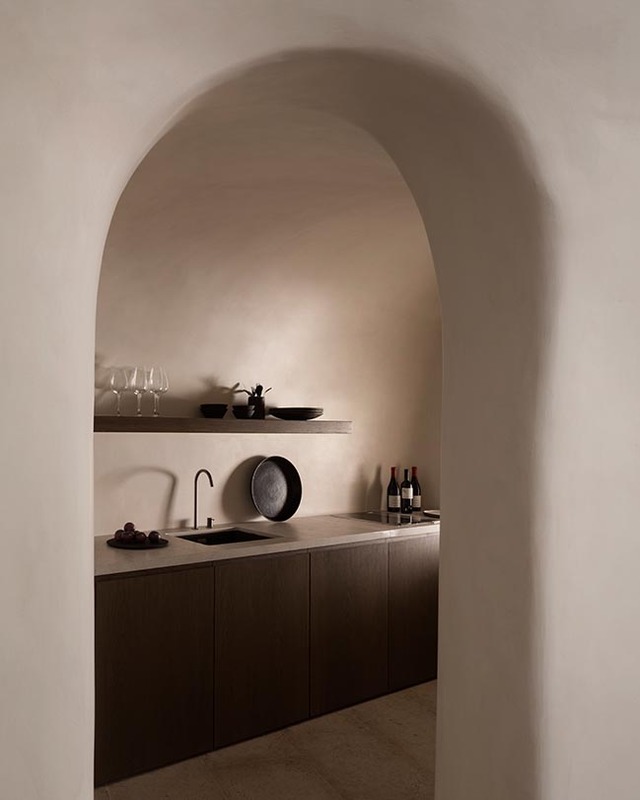 Guests experience a series of carefully choreographed contrasts – the wide open exposure to the sun and view against the cool darkness of the cave rock; black volcanic rock and burned finishes against cool white curves and calming pale textures - dark with light, sharp with soft, drama with total relaxation. 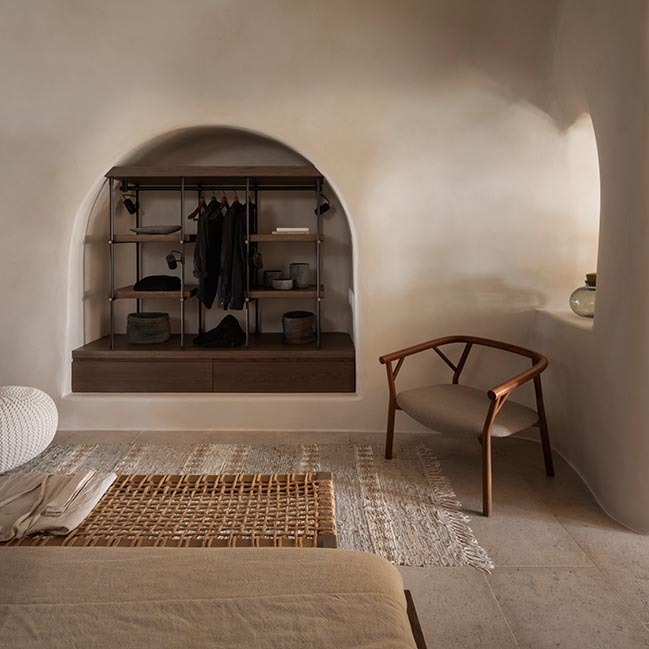 The hotel is intense and complex, yet laid out with clarity and designed with authenticity.